The Moto Guzzi MGX-21 Prototype — perhaps the greatest, gas-guzzliest cruiser concept to hit the EICMA show in Milano this past week — is getting the thumbs up from bike lovers everywhere, even if those enthusiasts aren’t usually ones taken to cruisers. 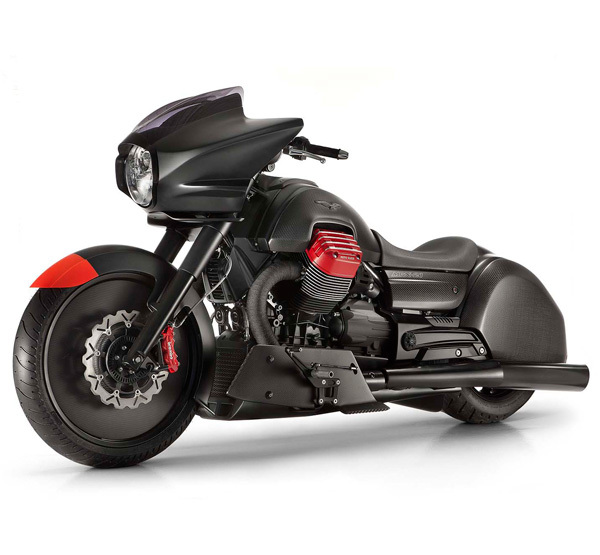 Based on the California 1400, the huge Moto Guzzi MGX is all clad in carbon fiber, right down to its 21″ chrome front wheel that lends the prototype its name. 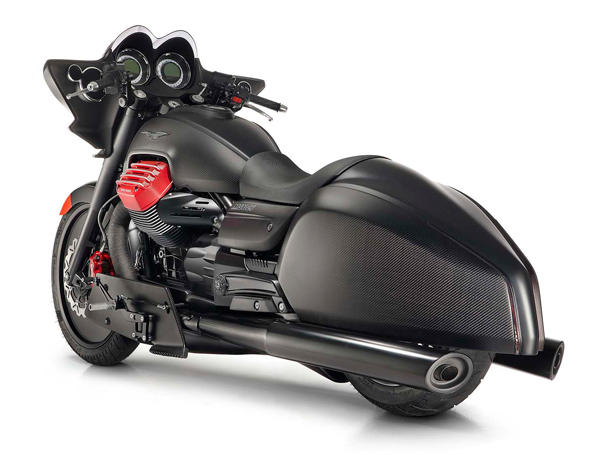 Just a concept at this point, the Moto Guzzi MGX-21 Prototype’s look is that of sleek monochromatic matte black lines, with a hint of red accents. Keep an ear to the ground and your eyes on the road for more to come.